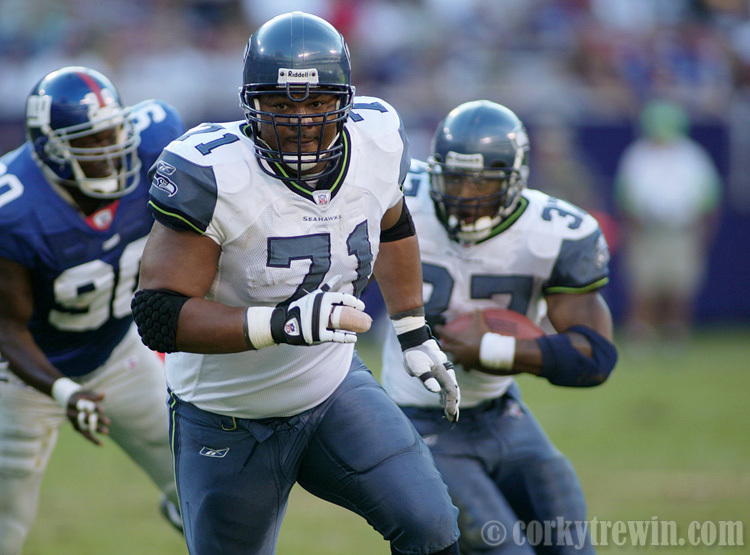 Seattle Seahawks tackle Walter Jones leads running back Shawn Alexander during a game with the New York Giants in 2002. Jones was selected to nine Pro Bowls in his 13 seasons with the Seahawks. This entry was posted in NFL, Seattle Seahawks, Sports and tagged Shaun Alexander, Walter Jones. Great shot of greatness Corky.